My children have all been a fan of Peppa Pig, even my 8 year old loved Peppa Pig once and some toys from when he was a toddler have lasted and still get played with today. 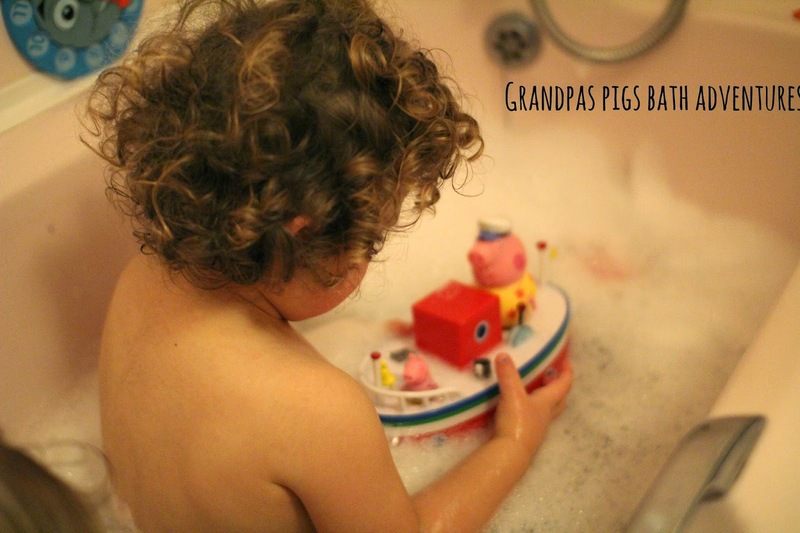 We have recently been reviewing Grandpa Pigs Holiday Boat in which was a major storm. There has been plenty of fights over who has Peppa or George but I am not complaining they have been enjoying playing with toys and sometimes not stopped for ages. The figures include Peppa Pig, George and Grandpa but has led to lots of questions like where is Grandma Pig from Ami. They have a little Stand on the bottom which helps them fit in the boat and stay fixed in the boat when in the water. We learned this when Grandpa pig kept on falling in the water and with a little bit more pressure fits in well. The figures are wearing all their swimwear making them easily found in the bath/ toy box. I love that the the boat it on its own, no little parts that only end up lost. Its a simple toy to spark a toddlers imagination. Grandpa Pig has made it to nursery and to school most bath times sadly we she never adds anywhere else in the bath time adventures. The boat floats really well and I was surprised that it did. She has loved playing with the boat and getting to play with Peppa Pig in the bath and Little Bear also has had a little look in too. 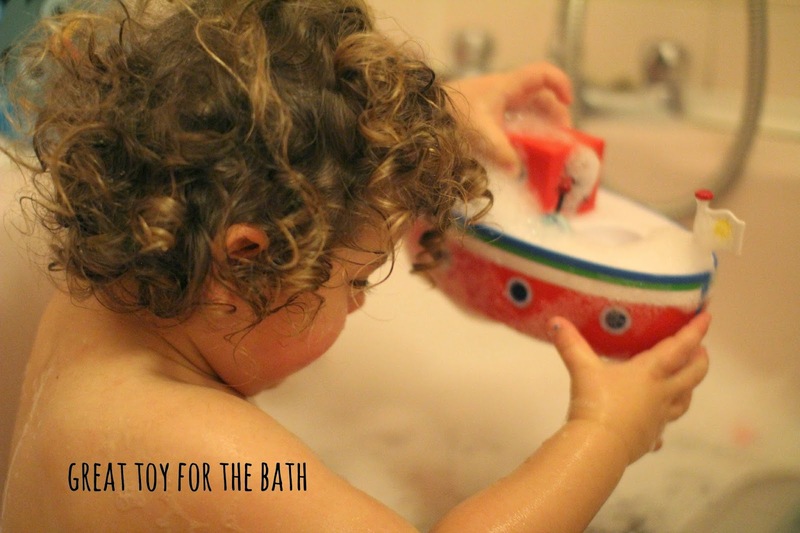 I love a toy that is versatile and can help encourage imaginative play. This Boat retails at £19.99 which I think is reasonable and most Peppa Pig toys are around that price. I am looking forward to adding to the new Holiday collection and have had my eye on a few of the other Peppa Pig toys (yes maybe 8 years of Peppa I still love it). 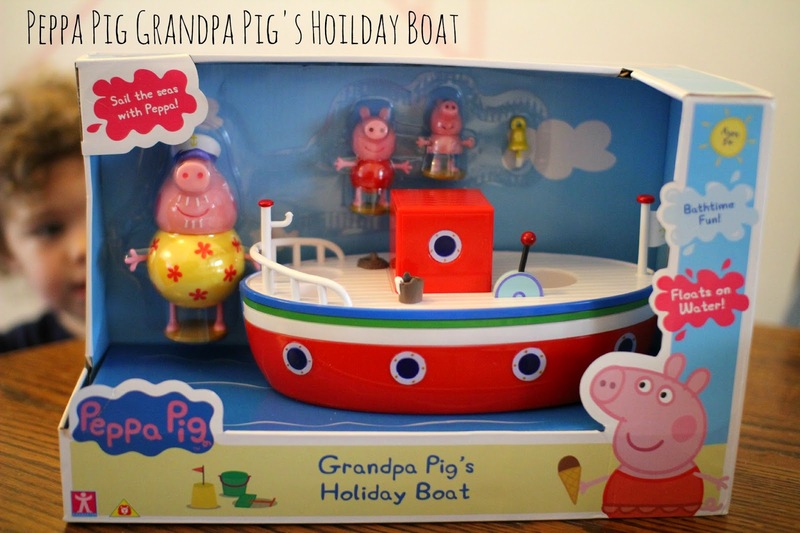 Check out more about the Peppa Pig Holiday Boat on the Character website, Grandpas Boat is available in most toy shops and online retailers. Perfect Toy for all Peppa Pig fans.